Gabi Ngcobo is an independent curator, writer and artist based in Cape Town, South Africa. In March 2005 she joined Iziko South African Gallery as Assistant Curator where she curated Second to None an exhibition which took its cue from the women’s march of 1956 to investigate gender dynamics in post apartheid South Africa. In June 2006 she was invited by Artistic Director Gavin Jantjes to join the curatorial team for the exhibition Trans Cape, a Cape Africa Platform initiative that later took place under the title CAPE 07. Ngcobo then worked as Resident Curator and Head of Research for Cape Africa Platform and was instrumental in initiating Cape’s Young Curator’s Programme. Other exhibitions include Titled/Untitled which was a curatorial collaboration with Cape Town collective Gugulective. She recently co-founded Manje-Manje Projects with theatre maker, actor and educator Mwenya Kabwe. Their first project is an experimental exhibition titled Scratching the Surface Vol.1 which opens in August at the Association for Visual Arts (AVA) Gallery in Cape Town. 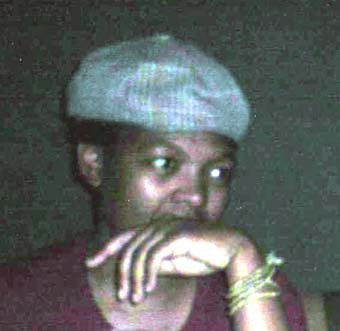 Ngcobo is the recipient of the Ampersand Foundation (New York) 2007 and Kingston University Curatorial Fellowship (London) 2008. She was one of 13 young curators invited to attend Eyes Wide Open curators workshop held at the occasion of the 5th Berlin Biannual Exhibition of Contemporary Art ; When Things Cast No Shadow, 2008. She was also invited to attend Close Connections an annual workshop for international curators running alongside Art Amsterdam, in Amsterdam, 2008.